A gardener looking for garden supplies in Hummert International is like a kid in a candy shop. Based in Earth City, Missouri, Hummert International is a commercial distributor of garden supplies and equipment. Hummert offers high-quality products for everyone. Some of the garden and nursery supplies they have to offer includes but is not limited to: growing supplies, commercial greenhouses and equipment, growing media, containers, irrigation systems, hydroponics, gardening tools and accessories, and more. The company was founded in 1932 by August H. Hummert Sr., who provided seeds and supplies to St. Louis area florists, professional gardeners and vegetable growers. The business grew gradually through World War II and after the war, A.H. (Gus) Hummert, Jr. joined his father in the business. The third generation of the family joined the business when August H. (Sonny) Hummert III came to work with his father and grandfather in 1961 and became the company's current president upon the death of his grandfather in 1970. His brother, Pete Hummert, came to the company in 1980 after receiving his degree in horticulture from the University of Missouri. Over the years, the company's identity has been established by its comprehensive horticulture, garden, and nursery supplies and equipment showcased in the biennial Hummert Supply Catalog. The publication started with a 16-page pamphlet in 1935 and has been expanding ever since. Today, the catalog encompasses 816 pages of state-of-the-art garden supplies and equipment for every sector of the growing industry. From pots and containers to soils, greenhouse equipment, and hydroponics, Hummert takes pride in listening to growers and industry professionals to provide the very best. With customers in all 50 states (1,000 cities) and in more than 100 foreign countries, excellent customer service has always been a top priority for Hummert International. Hummert team members have a passion for horticulture, and their education and experience provide customers with the best nursery supplies. Vast industry knowledge, in-depth product expertise, and a streamlined ordering system makes it possible to send orders out within one business day, sometimes even the same day, for customers all over the world. Hummert International even works with universities and research centers. This way, Hummert is learning the latest and greatest ways to practice horticulture and ways to improve their nursery supplies. Simultaneously, they are helping other people make horticulture safer, more environmentally friendly and more efficient by providing them with current and top of the line horticulture supplies. 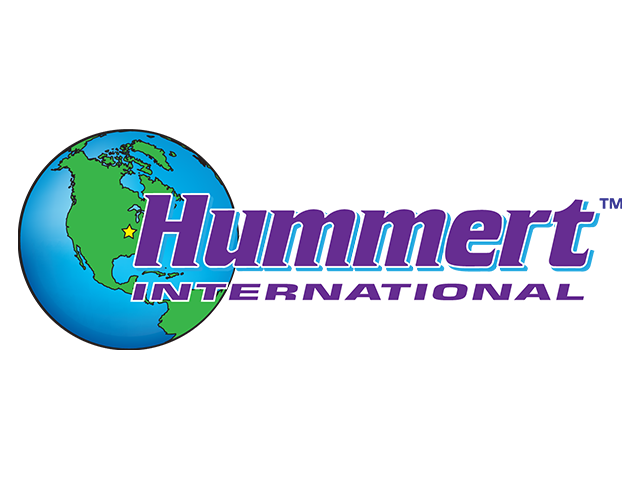 Hummert International is headquartered right outside St. Louis in Earth City, Missouri, and consists of satellite offices/warehouses in Topeka, Kansas, and St. Joseph, Missouri. The Earth City headquarters is home to offices, a 10,000 sq. ft. showroom, warehouses and a 3,400 sq. ft. display greenhouse - all under one roof. At Hummert's, it's about more than just supplying customers with the very best horticulture supplies and equipment. Those in the industry are always welcome to visit Hummert facilities. Schools and universities are invited to call and schedule an informational tour for their horticulture students. Hummert also offers several training seminars as well as short courses throughout the year to help our customers sharpen their skills and knowledge. In order to be sure to accurately meet the gardening supply needs of customers, Hummert is a proud member of various organizations including: American Horticulture Society, Western Nursery and Landscape Association, Kansas Vegetable Growers Association, Missouri Green Industry Alliance and more. These associations help Hummert to stay up to date and in connection with real gardeners. In today's world, technology is fast evolving in every single aspect of life, gardening included. These associations help to assure that Hummert is providing relevant nursery supplies to match new and changing needs. Expertise today's growers can rely on - Hummert is proud to provide the Products, Knowledge, and Service needed to get you growing! Big or small, Hummert International is here to help. Hummert loves to hear from people who are new to gardening and just beginning to dabble in their understanding of horticulture, so do not be intimidated! Everyone has to start somewhere, so why not start with some of the best nursery supplies available? And on the flip side, Hummert is ready and equipped to handle big business. Hummert is here to help big farmers and companies grow to the best of their abilities as well. Online, Hummert International makes it easy for people to shop for horticulture supplies. People simply make an account and then shopping is made safe and convenient. Shoppers can make a wishlist and save it for later, or ship their supplies to just about anywhere in the world. Search our website for garden supply products and information, talk with one of our inside sales reps, find the outside rep covering your area, or thumb through one of our many publications here - we look forward to hearing from you and helping you grow!